I don't recall exactly when it was that I first heard about the movie adaptation of Susan Hill's The Woman In Black, but I know I've been dying to see it since that day. I bought the book, I've watched each new trailer with great anticipation, and I've literally bounced in my seat upon seeing it in the theaters. And this Friday, the wait will finally be over. All I can say is that I sincerely hope it lives up to expectations (and based on what I've read so far, I expect it to). I love a great ghost story. Love them! They're my favorite particular flavor of horror. When done well, an author can build the ultimate in suspense and atmosphere while revealing little to nothing at all. This is the case with The Woman in Black, a brief looking novel that's deceptively heavy. It's my first by Hill, but certainly not my last. I've had my eye on her Simon Serrailler series for a while and she's got a few more ghost stories in her backlist as well. It's Christmas and Arthur Kipps's family is sitting around the fire telling ghost stories. What they don't know is that Arthur himself has been sitting on a tale of his own, one that is too tragic to recall. It's been years since he was sent out to Eel Marsh House to close out the house of the then recently deceased Alice Drablow. What Kipps experienced in that lonely and dank house has stayed with him all these years and has never been revealed to those around him. If Kipps has his way, it never will be, but the tale demands telling and so he has decided to write it out, if only for himself. I'd expected the book to be a one sitting read -- at just 135 pages, who could blame me? Hill's writing begs to be read at its own pace, though. While it can certainly make for a perfect companion on a dreary afternoon, it took me about three sittings when all was said and done. I can say that I was sad to turn the final page and leave behind the gothic atmosphere built by Hill's words. It's creepy and dark and I can't wait to see what the big screen has in store! I expect it will be slightly different, based on the description, that's to be expected, but if they can pull off the essence of the story... that will be the true test. Like any other reader out there, I love it when an author wows me so much that I just have to have more. Erin Kelly's fabulous and dark debut, The Poison Tree, was one of those books. In fact, in finding the original post to link up here, I realized I even called it a WOW read. Haha. Didn't remember that. Paul has been led into a life of crime by his schoolyard protector, Daniel – but one night, what started as petty theft escalates fatally. Now, at nineteen, Paul must bear witness against his friend to avoid prison. Louisa has her own dark secrets. Having fled from them many years ago, she now spends her days steeped in history, renovating the grounds of a crumbling Elizabethan garden. Her fragile peace is shattered when she meets Paul; he's the spitting image of the one person she never thought she'd see again. A relationship develops between these two scarred people, and Louisa starts to believe she can again find the happiness she had given up on... but neither of them can outrun their violent pasts. A story of secrets and guilt, The Sick Rose explores the extremes of obsessive love and loyalty, devotion and desperation. A bit of a change in reading pace, moving from high and epic fantasy to Marjorie Reynolds reissued Starlite Drive-In. It was such an easy and enjoyable read, though, that slipping out of the fantasy mindset and into Reynolds's own created world was no problem at all. In the summer of 1956, a drifter arrived at the Starlite Drive-In. Callie Anne Benton's father manages and runs the theater, taking care of the day-to-day maintenance and obligations. But a recent injury has left him bitter and crippled. Nothing much changes in Callie Anne's daily routine. Not until Charlie Memphis arrives. The owner of the drive-in brings him in to help out, a general handyman if you will. Young Callie Anne is smitten by the stranger. And for Callie Anne's mother, who hasn't left their house for years, Charlie Memphis offers something new as well. Years later, bones are found on the grounds of the old drive-in and Callie Anne is forced to face that summer once again. Within just a few pages, Reynolds sends readers on a trip back in time to a summer seen through the eyes of a pre-teen on the cusp of great change. It's easy to fall in love with Callie Anne. Her observations will strike a chord with readers of all ages. I also enjoyed that fact that many of the other characters evoke mixed emotions. No one is a static, one-sided caricature of the standard good guy or bad guy. Each character has different sides to them and Reynolds does a good job of showing those through her writing. Starlite was originally publishing in 1997 and has been recently rereleased by Harper. Winter is here so read A Game of Thrones! My reading ebbs and flows throughout the year. I've yet to find a real pattern to it, which makes it all that much more frustrating. Sometimes I can read an average book in a day. Other times, that same book will take me all week. Historically, I've had pretty bad luck with vacation reads. At some point, I completely lost my ability to tune out what's going on around me, which means that I now get highly distracted on planes, in airports, anywhere in general. Which also means that my bag full of books usually goes untouched in spite of my best efforts. I happen to be in a slow reading period at the moment and that coupled with the fear that I wouldn't actually read anything on my trip led me to finally, finally begin reading A Game of Thrones. Again. It was much easier this second time around. I'd abandoned it early on back in 2005. If you've seen the show (and I highly recommend that you see it or read the book), it does follow the book very closely. The differences between the two were so minor, it's one case where you definitely get a very good representation of the entire story through the adaptation. And the casting! The casting is spot on. Maybe if I'd read the book before seeing the show, my thoughts might be different, but Sean Bean and Peter Dinklage were especially fantastic as Ned Stark and Tyrion Lannister. 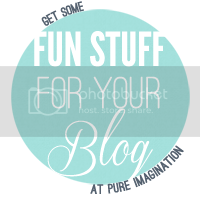 For a synopsis of the show and book, hit the link above (see it) to read my show post. I can't wait for a chance to dive into book number two. No way am I waiting until the second season starts to find out what comes next! I put off the vacation book hunt until the last minute, so Friday before last found me swapping out possible selections literally until our shuttle arrived. One thing was for sure, I would be taking along George R. R. Martin's A Game of Thrones, but I envisioned a week of beachside reading and even that 800 page tome couldn't possibly fill it all (plus airport delays and plane reading...). I did limit myself to mass markets, so that made it a bit easier. And for the sake of variety, I tried to cover all of the major subgenres. I had horror down to Peter Straub or Dan Simmons when I realized that the obvious choice was staring me in the face! In 1994, Dan Simmons released a book called Fires of Eden, in which a series of missing persons occurs at a new Hawaiian luxury resort. Perfect! Well, Game of Thrones lasted me through the majority of the trip and I finally cracked open Eden the day before we were set to leave. I have to say, it's a fun vacation/plane/beach/anytime read. Hawaii is in the midst of a historic volcanic eruption. The new Mauna Pele luxury resort should be packed full of tourists, but a series of murders and disappearances plagues the location. Byron Trumbo would like to unload the money pit as soon as possible, but bad publicity and a growing number of bodies may hamper his efforts. Things only get worse as he tries desperately to cover up the events. Meanwhile, Eleanor Perry has just arrived, set on following the path laid out in her great aunt's journal. Aunt Kidder visited the same spot back in 1866 and experienced something similar to the events of today. Along with Cordie Stumpf (nee Cooke -- of Summer of Night) and a local with more than a passing knowledge of Hawaiian folklore, Eleanor will do everything in her power to stop the inevitable disaster at Mauna Pele. 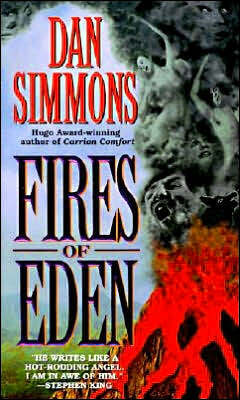 Amongst the ever growing list of Simmons's accomplished novels, Eden no doubt earns its fair share of criticism. It's a fun story, though, packed with Hawaiian lore that many are probably not familiar with. Simmons also ties in Samuel Clemens' (Mark Twain) writings on the area, making him a main character in the 1866 flashbacks of Kidder's journal. One review referred to the book as a sort of environmental horror story, which is kind of appropriate. Hawaiian gods and goddesses wreaking havoc on a greedy developer's golf resort sure makes for great entertainment and a really quick read. Fires of Eden is unfortunately out of print at the moment. Goodness, I go away for a week and there's so much to catch up on! It was gorgeous there! Back to real life now, I guess. Oh, I love Jane Eyre. I really, really love it. As soon as I saw that Margot Livesey's The Flight of Gemma Hardy was an homage to Bronte's classic, I did a happy dance. It's a fine line, don't get me wrong. Gemma Hardy could be a wonderful read reminiscent of that tasty gothic tale, or it could be a let down because the expectations are so high. Either way, I'm excited to find out! Fate has not been kind to Gemma Hardy. Orphaned by the age of ten, neglected by a bitter and cruel aunt, sent to a boarding school where she is both servant and student, young Gemma seems destined for a life of hardship and loneliness. Yet her bright spirit burns strong. Fiercely intelligent, singularly determined, Gemma overcomes each challenge and setback, growing stronger and more certain of her path. Now an independent young woman with dreams of the future, she accepts a position as an au pair on the remote and beautiful Orkney Islands. But Gemma’s biggest trial is about to begin . . . a journey of passion and betrayal, secrets and lies, redemption and discovery that will lead her to a life she’s never dreamed. The Flight of Gemma Hardy is a captivating tale that is both an homage and a modern variation on the enduring classic, Jane Eyre. The Flight of Gemma Hardy hits shelves on January 24. 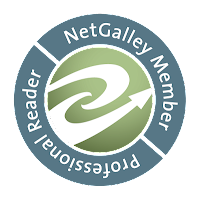 Check out Goodreads for some early reviews. "Dear You, The body you are wearing used to be mine." In the list of intriguing first lines, Daniel O'Malley's opening line from The Rook is definitely tops. And from there forward, the tale gets profoundly more intriguing and amusing. Myfanwy Thomas opens her eyes to see a ring of bodies surrounding her and finds a letter in her pocket explaining what must be done next. She has no memory of who she is, what she does, or how she ended up in this place. The letter leads her to a safe place where she is given a choice, adopt the life she seems to have taken over, or run. Though her choice might be clear, extenuating circumstances force her to become Rook Thomas. As she reads the old Thomas's notes, explaining the organization she works for (The Checquy), what a Rook does, and all manner of strange things, the new Myfanwy takes to her life and position in a way that the old Thomas never seemed comfortable with. This is another one of those amazingly fun books that's hard to pin down but is an absolute must read. The narrative is funny, at times laugh out loud so, the story is quirky, and I imagine the mind behind it (O'Malley) is brilliant. The structure is interesting as well. The character has no knowledge of these things, and so the story unfolds as two tales, that of the new Myfanwy and that of the old. The new Myfanwy is our narrator and the old tells her tale through letters and notes written for her "replacement." I have to say, as my first official 2012 read (started and finished in the new year) The Rook will go down as my first favorite of the new year as well! I've said before that I am loving the dystopian trend - loving it! It's not going anywhere anytime soon! And I also have to add that Wells' brother, Robison Wells, made his teen debut with his own teen dystopian thriller, Variant, last October. As I mentioned, Partials isn't due out until Feb 28, but Variant IS out now, as are Wells' adult titles. 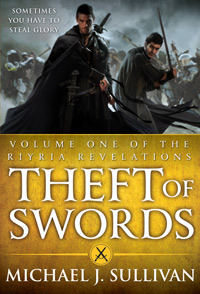 Theft of Swords by Michael J. Sullivan is the first in a trilogy. Wait, that's not entirely true. Michael J. Sullivan initially self-publishing his Riyria Revelations as six individual installments. The books have since been picked up by the wonderful folks over at Orbit and combined into three volumes. So, this first volume actually includes the first two of Sullivan's stories -- The Crown Conspiracy and Avempartha. In Theft, we are introduced to Royce and Hadrian, a pair of talented thieves who call themselves Riyria. Tales of their exploits have spread across the realm and now they've been hired to break into the palace grounds to steal a sword. The job looks to be on the up and up, but the two soon find themselves the prime suspects in the King's murder. Crown Conspiracy, the first half of Theft of Swords, serves as a setup for the rest of the book. Introducing the characters, the setting, the legends (which are pretty cool). It also makes the three volume approach really appealing since you get to move right on with the story immediately. Volume two, Rise of Empire, is out now (I've not gotten to it just yet), and volume three, Heir of Novron, is due out at the end of the month. Orbit also recently released John R. Fultz's Seven Princes, currently warming my nightstand, and I'm doing the antsy pantsy dance in anticipation of Gail Z. Martin's Dread due out in February. I love, love, loved book one in her Fallen Kings Cycle and desperately need to read the Chronicles of the Necromancer books as well. And then there are those three honking George R. R. Martin books waiting in the wings! And in April, season 2 comes back. Doing some genre bouncing this week as well with my bookmark currently resting in Neal Baer and Jonathan Greene's Kill Switch. So many books! Morning, folks! Believe it or not, I squandered my week off by not reading at all! Or at least not to the level I'd expected to. Putting a house in order is exhausting. No one room is finished at this point and it ate into my reading big time. I think I literally read three and a half books and that was it. The first was a Christmas themed book. I usually avoid them (reading them anytime other than Christmas feels wrong, but there's never a guarantee I'll get to it in the right season). For Flavia de Luce, though, I decided to make an exception. Then I read ahead a bit with Brodi Ashton's Everneath, which you may recall from this pre-pub post a while back. I have to say that I really enjoyed Everneath. It's an interesting twist on mythology. That one's due out officially on Jan 24. 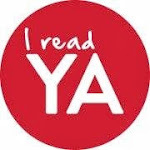 My other read was Lynn Weingarten's The Secret Sisterhood of Heartbreakers, a cute teen read with magic and heartache. Literally! It's the story of a girl who gets dumped on her first day of sophomore year. Her heart is so broken that she attracts the attention of three heartbreakers who promise that they can heal her. The twist is that in order to heal her own heart, she must break the heart of another. It was a fun read. Very light and breezy. One that was great for such a tumultuous time (and by that I just mean the uncomfortable post move time when you can't find anything and just want to tear your hear out for all the boxes around). But now it's time to get back on track for 2012. I was just shy of my 2011 goal at 145 books read out of 150. I'm going to aim for 150 again this year and see what happens. 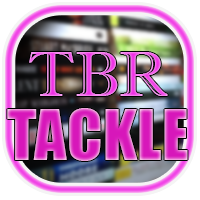 And the TBR grew with the wishlist gifts I received, so it's definitely time to get cracking!